Consultants and employees of Rodan + Fields® have continually raised the expectations of what it means to be members of the buildOn movement through the Prescription for Change® Foundation. Over the past three years, they’ve immersed themselves in buildOn’s Service Learning Programs, volunteering alongside buildOn students in four U.S. cities and supporting every program across the country. But as Rodan + Fields® team members Chelsea Ramage and Dr. Tim Falla learned firsthand, buildOn is a global movement with opportunities to make an impact all over the world. 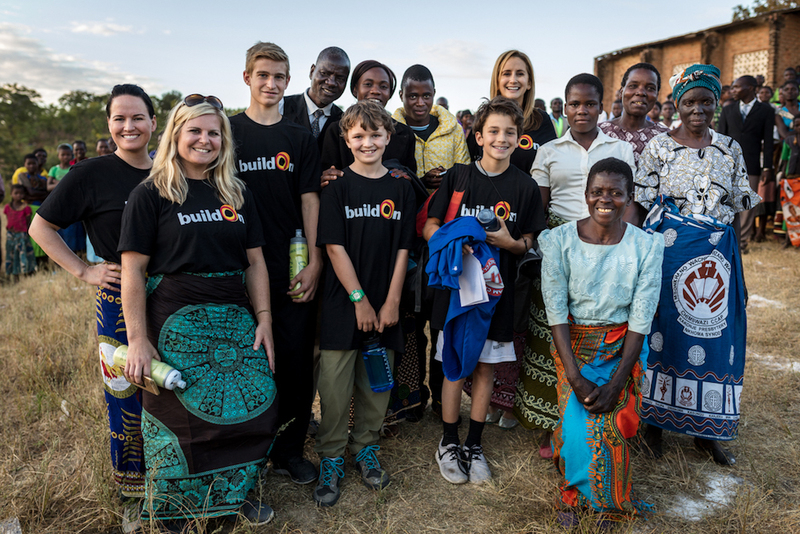 Check out the video below to follow a group of Rodan + Fields® volunteers as they serve globally with buildOn in Malawi, and read on to learn more about the life-changing global service the Rodan + Fields® team experienced in Nepal. By going on Trek with buildOn, Chelsea and Tim each traveled with other volunteers to one of the economically poorest countries in the world to partner with local community members to construct a new school in a village previously lacking proper educational resources. Chelsea went to Malawi in August 2017 as part of the R+F’s Voices of the Field Trek with four R+F Consultants and their guests, as well as R+F Vice President of U.S. Sales Jeremy Soine and his son. Tim traveled to Nepal in December 2016 with his wife and four children. But unlike other service trips, Trek isn’t a vacation—it’s a chance to experience the impacts of education in a community that historically has no adequate school structure while living with a host family and gaining intimate insight into their culture. At Top: Chelsea and her son Noah on Trek in Malawi. Above: Chelsea (far left) and Noah (center) pose for a picture with the Trek team and their host family. “To experience a Trek firsthand makes me incredibly proud of the work that Rodan + Fields® does with PFC, and just to be a part of that, as a whole community of Consultants and employees, is truly life-changing,” Chelsea explains. Above: Tim (far right) passes rocks with community members and members of the Trek team while on Trek. Tim and his wife Lucy were originally attracted to the idea of going on Trek when they learned that buildOn schools ensure gender equality in their classrooms. Before breaking ground on a buildOn school, every partner community signs the buildOn Covenant—a document from the community promising to send an equal number of girls to school as boys. 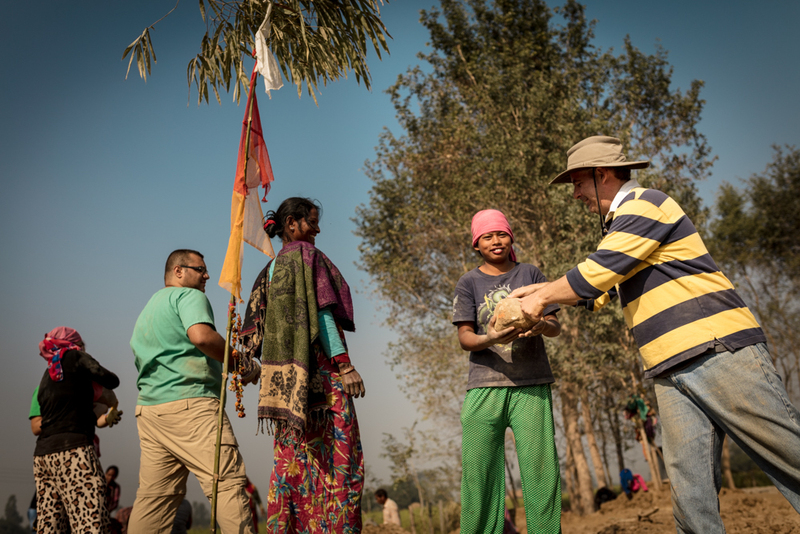 Above: Tim and his wife Lucy at the closing ceremony of their Trek in Nepal. The PFC Change Maker Trek program is an international service experience for R+F Independent Consultants and Employees and is still under development. Program announcements and eligibility will be available in 2018, with treks departing in 2019. Sign up here to receive information as soon as it becomes available.